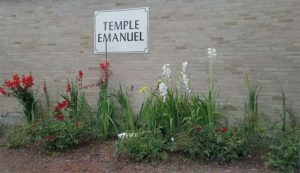 There are no Shabbat services this week, but there’s a Ritual Committee meeting, our summer Virtual Walk, and an upcoming Lunch Bunch. The next services will be Friday, August 25, 7:00 p.m. Rabbi Sparr is on vacation until August 23. If you have an urgent rabbinic need before then, please contact Karen and Phebe. Monday, August 21, 7:00 p.m.
A TEMV tradition! Buy food or just hang out under the tent. Lots of activities and of course, ice cream. If interested, email fay@temv.com so we know to look for you, or just stop by and look for us.